Inspiration for the evening meal can come from many sources. Last night’s dinner was inspired by a sale on U10 shrimp at Whole Foods and Mark Bittman’s most recent Minimalist column in The New York Times. How could I resist a recipe from Jean-Georges Vongerichten that would take only 30 minutes? 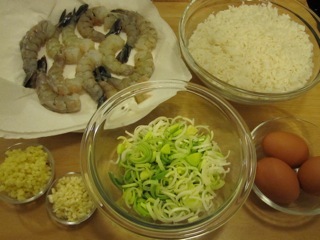 I started with twelve U10 shrimp (peeled and deveined, with the tail left on), four cups of leftover cooked jasmine rice, two tablespoons each of minced ginger and garlic, two cups of thinly sliced leeks (white and light green parts only), and three large eggs. 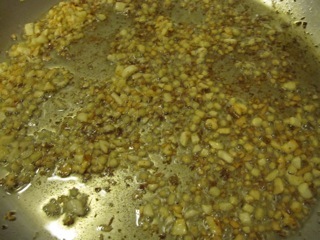 I sauteed the garlic and ginger n a quarter cup of peanut oil, until they were browned and crispy. I removed the crispy bits to a paper towel-lined plate to drain, and sprinkled them with salt. 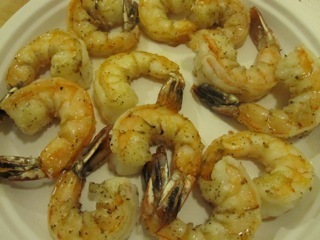 I added another two tablespoons of oil to the pan and cooked the shrimp, two minutes per side, then set them aside. 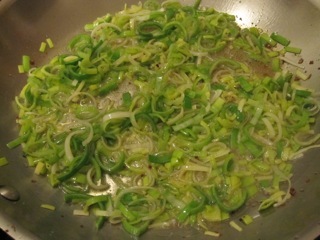 The leeks went in next, where they cooked for ten minutes until softened but not browned. 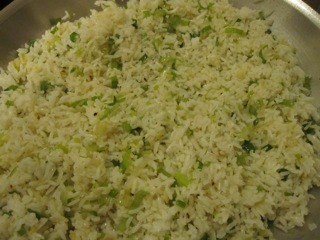 I added the rice to the leeks and cooked to warm through, seasoning with salt. Bittman explains that Vongerichten “molds the rice beautifully,” but opts to just dump it into a bowl. 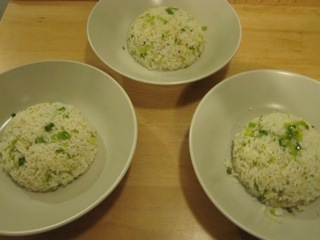 If it’s good enough for Jean-Georges, it’s good enough for me, so I molded the rice into serving bowls. 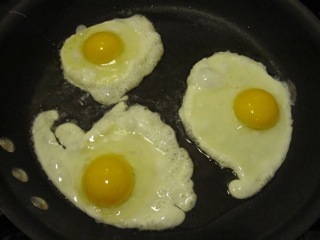 Lastly, I fried the eggs until the whites were set but the yolks were still runny. 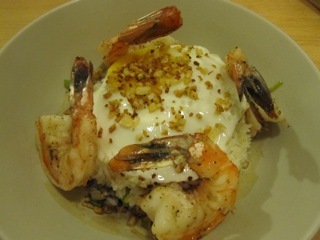 For the final assemblage, I placed an egg atop the rice, garnished with the crispy ginger and garlic, spooned a teaspoon of soy sauce and a half teaspoon of sesame oil around the rice, then set the shrimp around the edge. Soft rice, sweet leeks, creamy egg, and the crunchy topping all worked together to elevate what could have been an ordinary dish into something extraordinary. Surprisingly, the shrimp played more of a supporting role, adding a subtle flavor to the rice as well as another texture. Having received a two-thumbs-up from He Who Will Not be Ignored, this one’s a keeper.